Who says bedtime has to be boring? 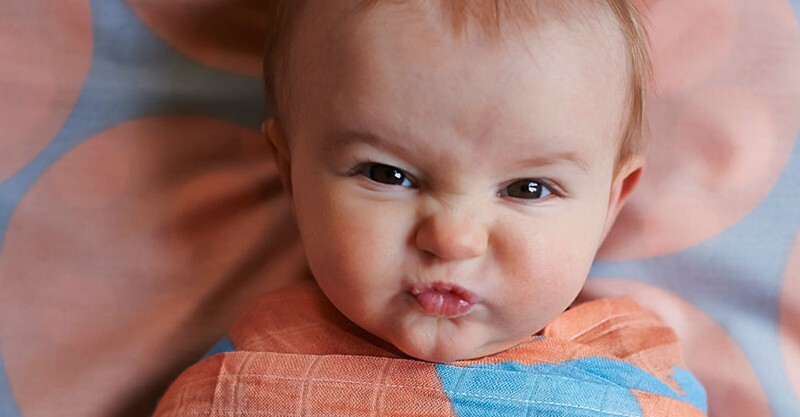 Not that chipper baby of yours who’s wide awake, and certainly not Kip & Co, designers of bed linen that’s downright exuberant. 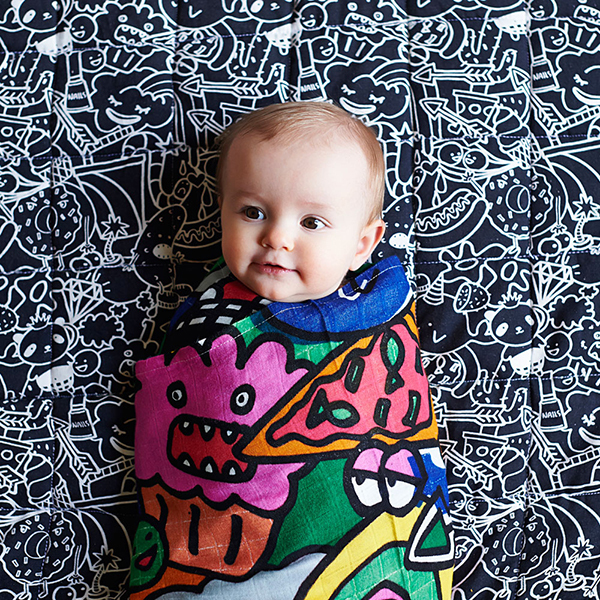 Kip & Co designs linens for tiny and big people alike, but it’s the baby swaddling wraps and baby blankets that have our hearts aflutter. 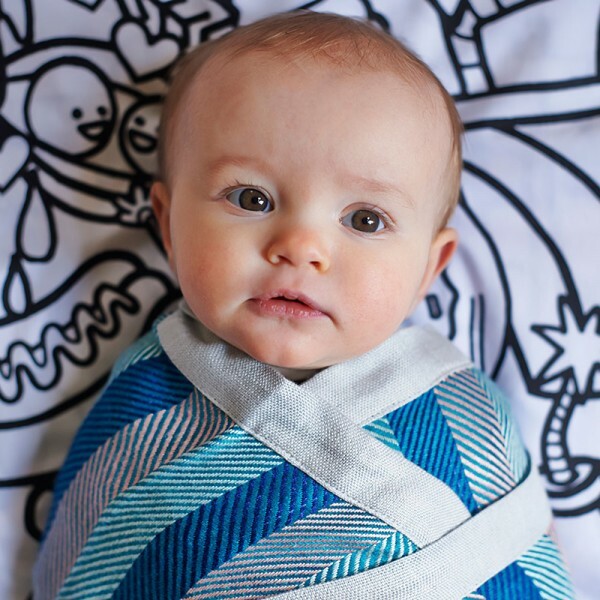 Because babies generate an insane amount of washing, swaddling wraps come in packs of two for $55, and each set has the most delightful, unexpected patterns. 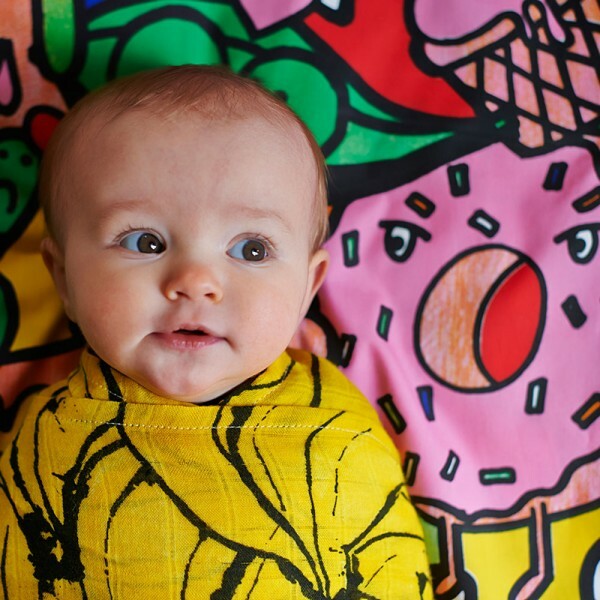 One wrap has bananas that are reminiscent of an Andy Warhol painting, and its mate is covered in a multi-coloured scene of talking donuts and cupcakes eating pizza. Circle of life, amiright? There are also My Little Pony-esque unicorns and rainbows or a bright rockmelon background with brushstrokes in sky blue. 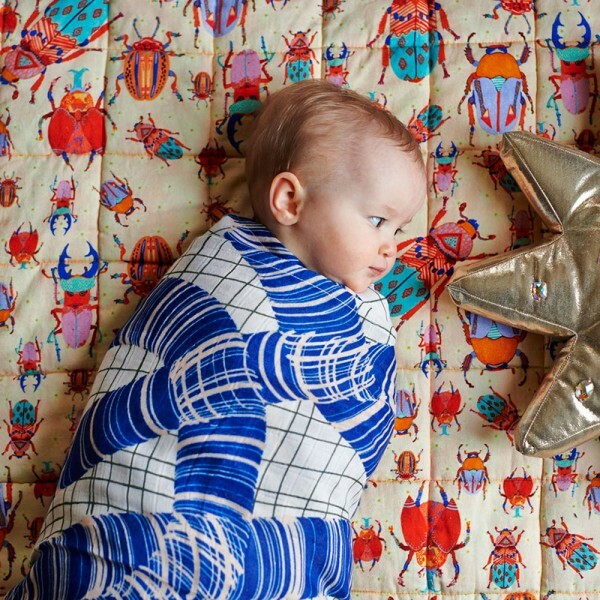 While the blankets are more subdued in pattern, they’re anything but when it comes to colour. Woven from breathable, divinely soft bamboo, the Swanky Blanky ($59) comes in sorbet orange and pink stripes, gradient blue herringbone or orange and blue houndstooth. Each blanket has a silky contrasting border. Plain sheets don’t do the Kip & Co blankets justice, so you might as well go whole hog. Patterns on the fitted sheets ($49-$69) run the gamut from simple – little red hearts on a white background – to out there – the talking doughnuts make an encore performance. When you’ve agreed that the baby has won and it is indeed time to play and not sleep, Kip & Co also has lovely quilted playmats, perfect for tummy time. 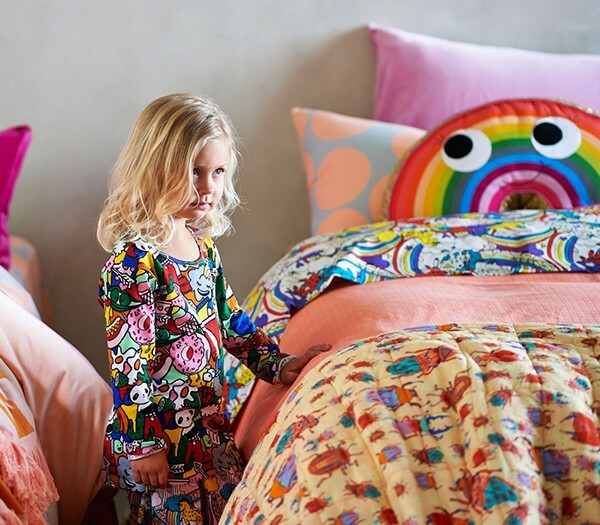 Our favourite is the multi-coloured beetles pattern ($129) which was created in collaboration with Brooklyn-based fashion designer Caroline Kaufman. 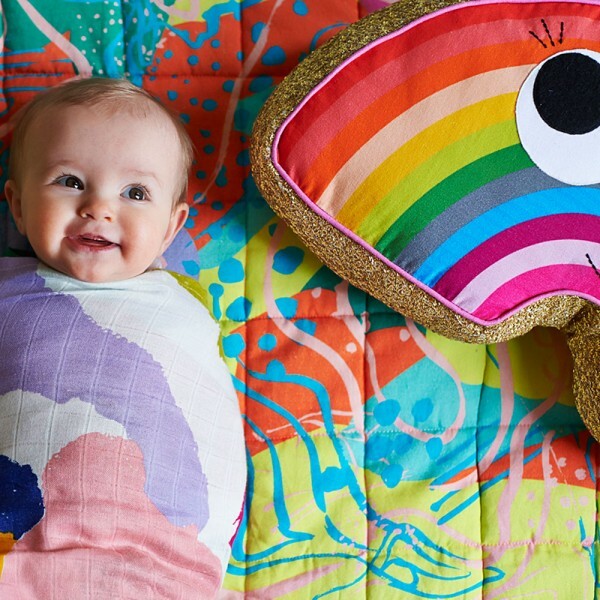 If you’re like me and only found out about Kip & Co after your babies were long out of swaddling wraps, don’t despair, they have collections for kids and grown-ups as well. Caroline Kaufman’s beetle pattern is on a beautiful bedspread decorated with white and orange pompoms, and there are some amazing pyjama sets as well. Kip & Co’s spring summer 2015 collection is available for pre-order and is due to ship at the end of September.